speak or write in the media, why is it they are so totally unbelievable? martyrs I well recall, the anti-Canadian Wheat Board media event in Lethbridge this autumn, and the adamant assertions of those boarder runners claiming they would never pay fines to Canada Customs for what they did. They would much rather be martyrs and go to jail. fines Then, the unbelievable happened. Only hours after the prison gates closed, and the media and Ralph Klein departed they very quietly started paying their fines and coming back out of prison - the very thing they said they would never do. I would have thought real martyrs would have stayed the course. Canadian Wheat Growers Association goes off the deep end, claiming 80% of farmers want to market outside the Canadian Wheat Board. Whoa, where do people like Mr. Heaman get their facts. 17% For evidence, that Heaman's claim is just unbelievable, check the results of the recent Canadian Wheat Board elections. Of all the farmers in the Canadian Wheat Board areas that had a chance to vote for their choice, only 17% of those eligible, voted for marketing outside the Canadian Wheat Board. dollar Lastly, why are many farmers giving short shift to the anti-board bleating? Because, they see the board squeezing top dollar from the market for their benefit. Also, millions of dollars are saved on transportation costs, thanks to the Canadian Wheat Board. sanctions Of major importance, is the fact that the Canadian Wheat Board is the best market developer for western grain, bar none. Balance that with the anti-boarders aiding and abetting a foreign government to bring trade sanctions against a Canadian marketing agency (Canadian Wheat Board), many of their farm neighbours want to keep. All because these board haters are unable to convince their farm neighbours that the open market is the farmers best friend. 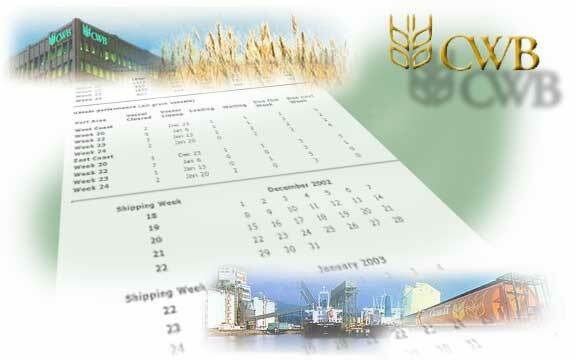 Farmers' voice heard in CWB Director elections, December 16, 2002, Canadian Wheat Board Web site.